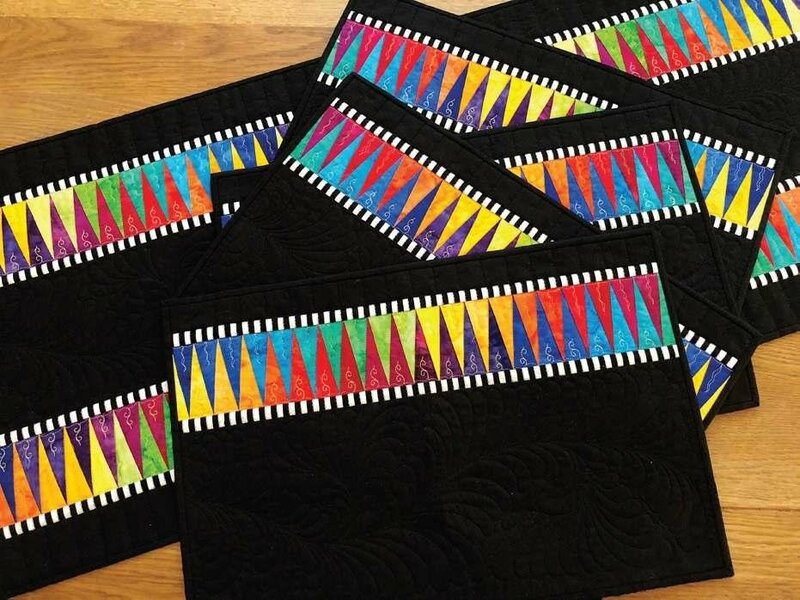 Sew Many Quilts is offering this class as an introduction to Jacqueline deJonge's paper piecing method. In this class, we will be making the spikes for the placemats. This is a great place to start - and then move on to one of the other BeColourful patterns we have in stock. Pattern must be purchased separately. Skill Details: This is an entry level class, designed to introduce you to Jacqueline deJonge's paper piecing methods. All skill levels are welcome. Materials Included: Please purchase your pattern and class supplies separately. Requirements: Please bring with you to class: "Picnic and Lemonade" pattern, 28mm rotary cutter, a small cutting mat (or use one of the larger mats along the perimeter of the classroom), Add-A-Quarter ruler, Microtex sewing machine needles, size 70/10. Also bring your BSS - Basic Sewing Supplies, including a regular (48mm) rotary cutter and ruler, if you haven't precut your fabrics. Please talk to Barb L. about fabric requirements for the pattern.